Comes with a Fill Kit and One 4 oz Premium Conditioner. 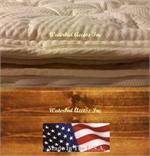 Mattress is filled with 3 layers of soft contour fiber to increase comfort and support. This mattress will contour to your body with about 5-7 seconds of movement. 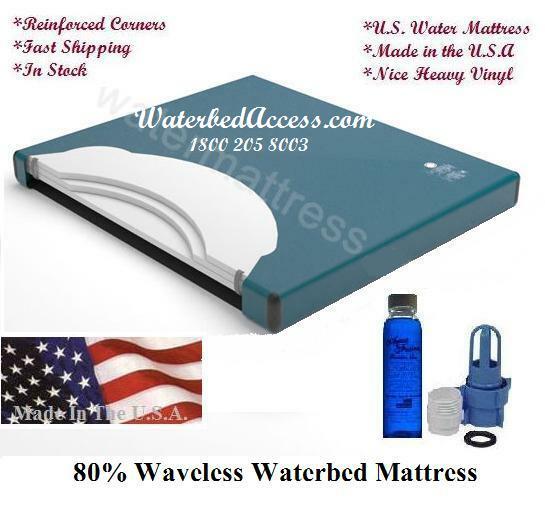 It was designed to give you that original waterbed feel that still has movement but not as much as free flow or a basic semi wave mattress. Very comfortable with high quality construction. Mattress is made of 100% virgin vinyl with nice reinforced corners. • Reinforced corners provide durability and the corners helps keep the sheets in place. • Heavy duty black vinyl. Best quality available. • Over-cut vinyl to release pressure on the seams and increase comfort. • Seam on the bottom of the water mattress is recessed 2 inches. • 3 layers of super soft fiber specially engineered for comfort. 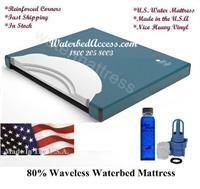 • United States Water Mattress has been manufacturing in the U.S. for over 4 decades. You will notice less air build up in your mattress when you use this waterbed conditioner. Our premium waterbed conditioner works on all Hardside and Softside waterbeds. 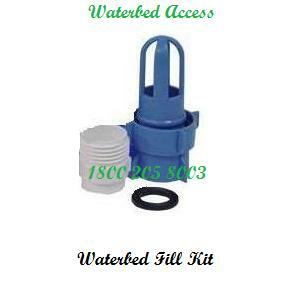 Fill Kit includes all the adapters to help fill your mattress. We have excellent feed back. THIS MATTRESS IS TOP OF THE LINE. Excellent phone support!! Smooth, easy transaction!! Awesome seller!! Thanks! !